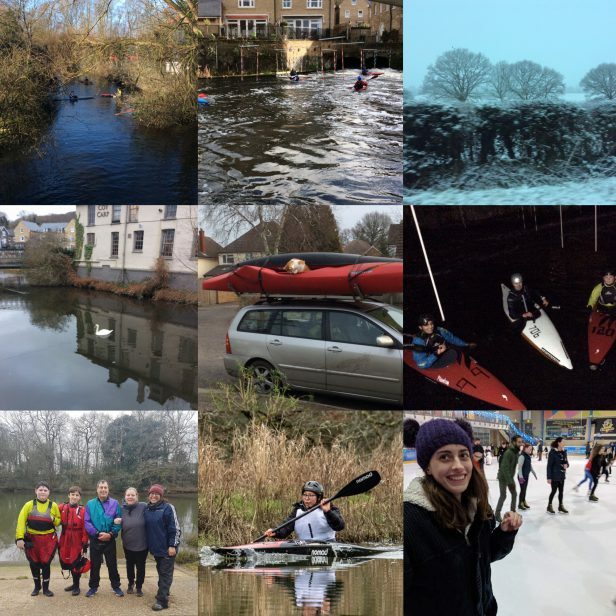 Quite a lot, here is a quick round up of the activities from January 2019, with pictures. 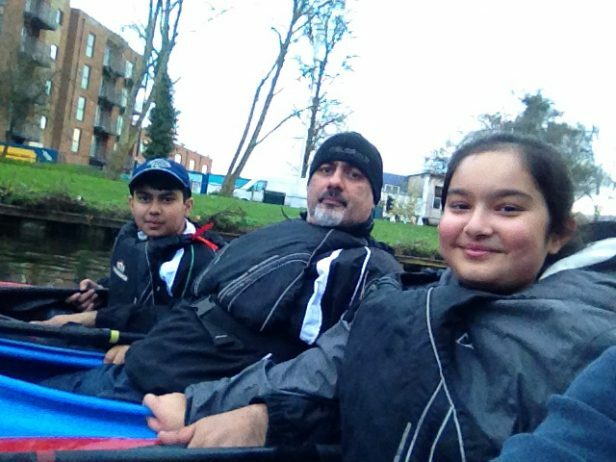 The year started with a New Year’s Day paddle at Harefield, including a trip on the back waters and it was great to see a new paddler there. 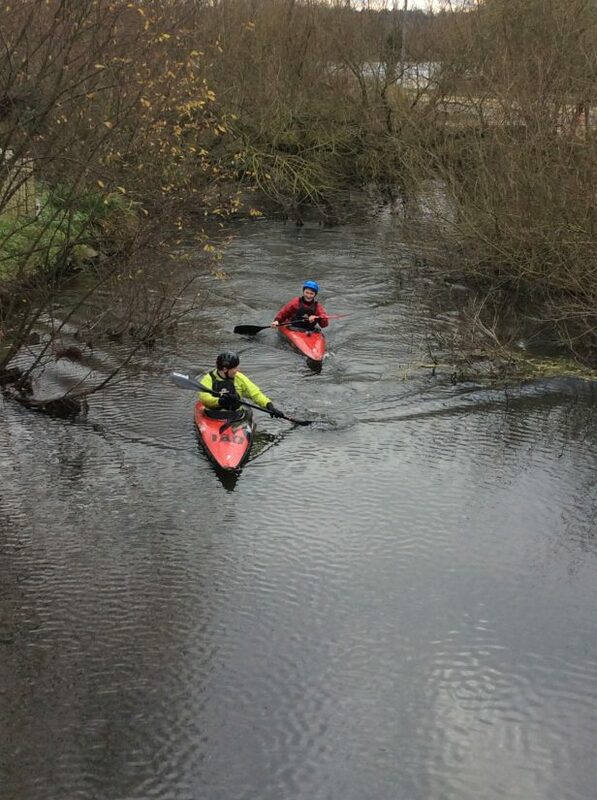 Sunday 6th January and we went to our first race of the year, Fairthorne Manor WWR. The team was (left to right) Sam Liddy, Jacob Simpson, Neal Underwood, Ally Judge and Priscilla Montanez Valle. 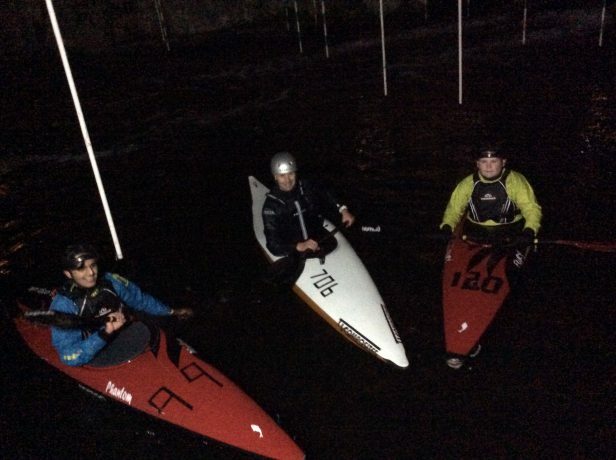 We started Monday evening Race Sessions at Harefield, using Wild Water Racing boatsank on Wednesdays we have had floodlit Slalom training on the weir at Harefield. 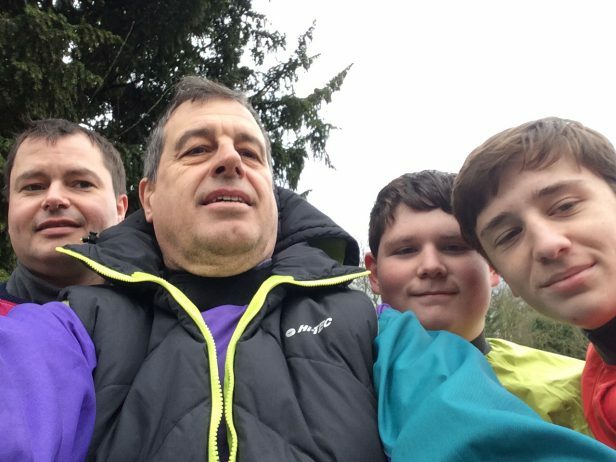 On Saturday 6th January we were racing at the Barrow-upon-Soar WWR, the team was (L to R) James Read, Neal Underwood, Sam Liddy and Jacob Simpson. 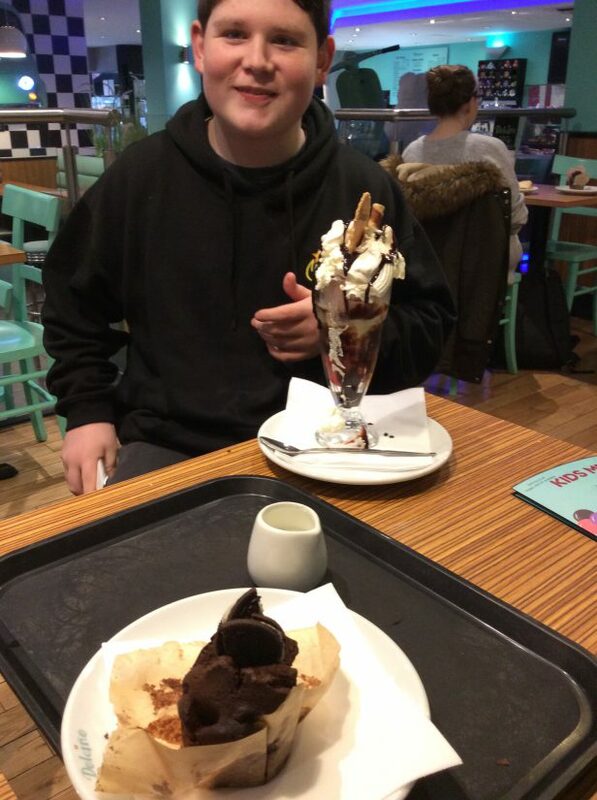 And afterwards we went for refreshments in Loughborough. 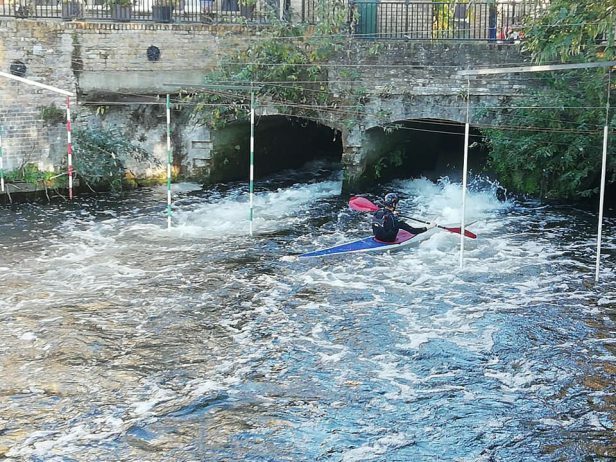 We have been running two sessions on Sundays, Harefield Slalom in the morning at 9:30am and then an afternoon session at Havelock at 2:30pm. 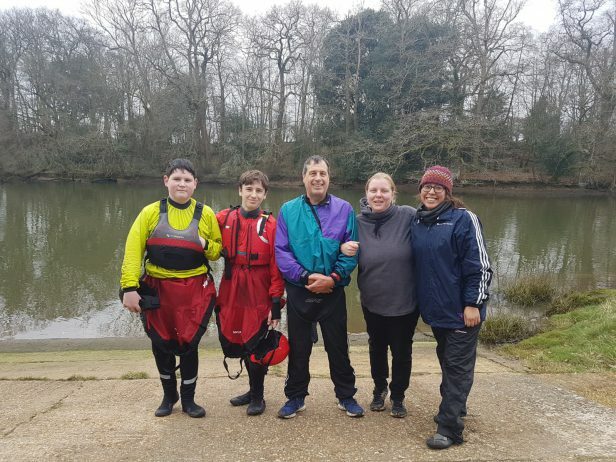 Away from the water we have been active as well, working with other organisations to help provide better facilities and more opportunities for existing paddlers and for new paddlers who we hope to entice to us this year and for many years to come. Constructing canoe storage at Rickmansworth Sailing Club to provide better facilities at Harefield, so we can run more sessions for more paddlers and grow our slalom and racing sections. 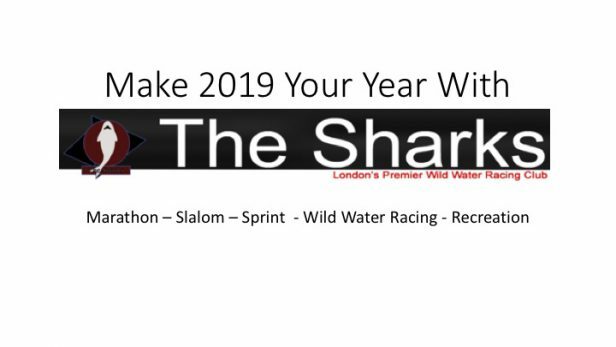 During the Summer we expect to be running two weekday evening sessions a week to support our paddlers and to grow our slalom team. We are working closely with Catalyst Housing Association and Ealing Council to provide facilities at Havelock Estate in Southall. We have a bid in to Sport England to help pay for the transformation. This will provide a fantastic place to base our Racing Team, we will host sessions weekdays and weekends and will very soon be announcing the time table and the lead coaches. Watch this space for something very special. The work to bring a permanent base to Harlesden/Park Royal is still continuing in partnership with the Old Oak Common and Park Royal Development Corporation. 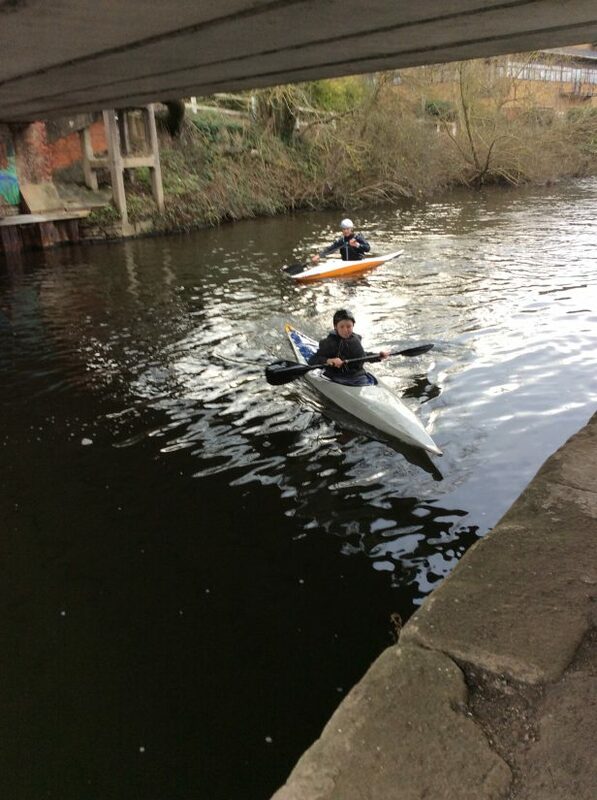 We will be running regular sessions there this year, on both weekday evenings and weekends. We will soon be announcing the programme timetable and lead coaches. We hope to get a really successful racing section going at this location.